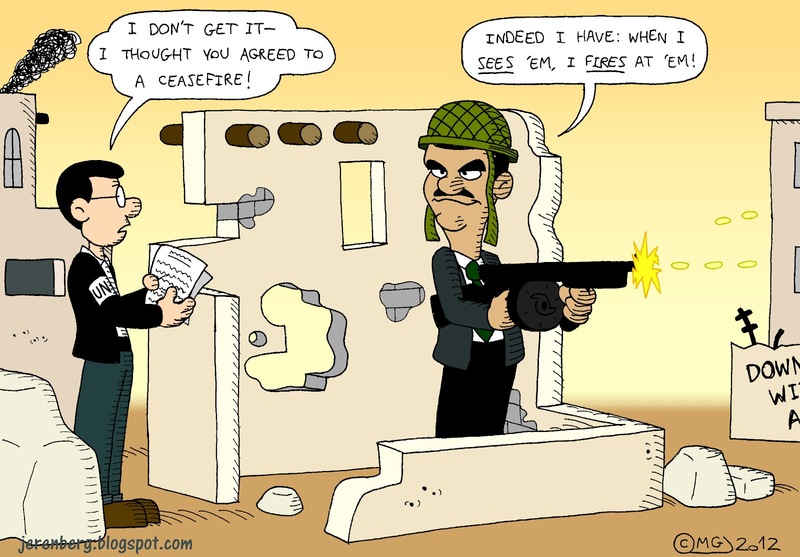 A ceasefire agreement and the arrival of UN inspectors in Syria have done pretty much diddlysquat to staunch the bloodshed there. Surprised? Not I.